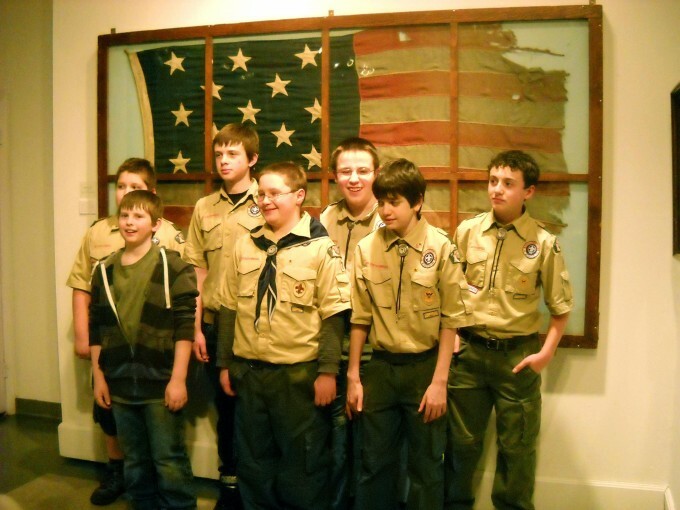 The Attleboro Arts Museum is collaborating with local Boy Scout & Girl Scout Troops to offer special gallery tours of Museum exhibitions & mini art-making workshops. 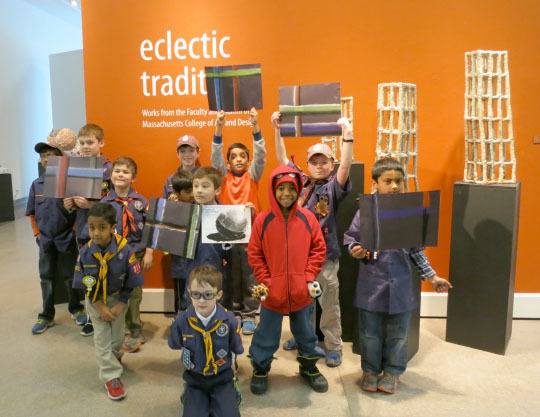 Scouts will combine looking at professional artwork in the Museum’s gallery, speaking with an artist, and fun, age-appropriate art-making experiences to help them on their way to achieving select art badges. 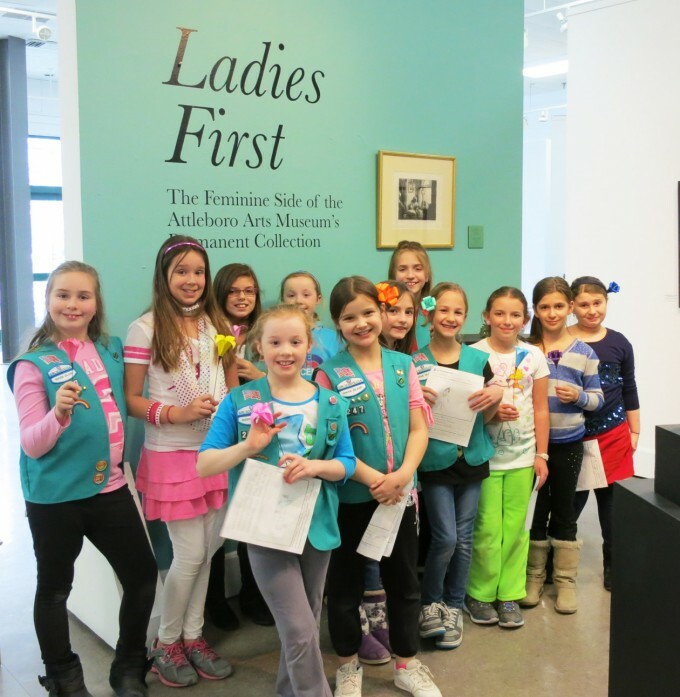 The Attleboro Arts Museum is happy to coordinate with each Troop on scheduling a visit as well as a Troop’s specific badge needs. Visits will only be scheduled during times when exhibitions are on display in the Museum’s main gallery. Of note: scout programs are subject to scheduling constraints due to Museum programs, exhibitions and events. Please contact us at least 3-4 weeks in advance for booking a visit. Weekdays (Tues – Friday only) between 3-5pm. Saturday afternoons (between 3-5pm). Saturdays are limited. We can only offer programs during our business hours, evening programs are not available. We are currently not offering pottery or ceramics badge programs. 7 Scout minimum per visit. Of note: The minimum payment is $84 no matter how many scouts attend the visit (this includes last minute individual scout cancellations). A minimum of 1 adult per 8 Scouts is required, but you are welcome to bring additional adults. Age-appropriate siblings may accompany scouts in an effort to make the minimum number. A 50% deposit is required 1-week in advance of each visit. Please contact Abby Rovaldi, AAM Programs Coordinator at 508-222-2644 x15 or arovaldi@attleboroartsmuseum.org at least 3-4 weeks in advance for booking a visit.